It’s always a treat to visit La Ciau del Tornavento. Proprietors Maurilio Garola and Nadia Benech continue to set a very high bar for food, wine and hospitality in the Langhe. This recent dinner was stunning from start to finish. 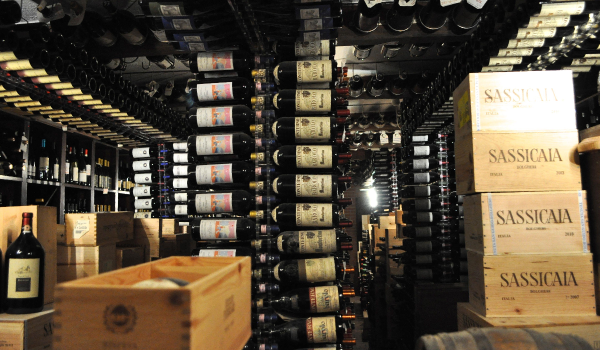 La Ciau has long had the best cellar in Piedmont, with a dizzying array of bottles that will make even the most seasoned wine lover weak at the knees. The cellar is about to get even bigger, with an extension that is scheduled to be finished later this year. Visitors will soon be able to enjoy lunch or dinner in the company of La Ciau’s enormous collection. So far, the early part of the summer has been quite rainy, which is problematic for vineyards, but much more favorable for mushrooms. Ovoli are perhaps Italy’s most prized mushroom and are not to be missed. The carne cruda topped with a generous helping of Ovoli is an inspired dish for a warm summer evening. La Ciau’s tortelli with burrata and fresh tomatoes is a welcome change after a few weeks of working our way through the timeless standards of the Piedmontese table. Here the flavors are bright, exuberant and decidedly summery. As soon as I hear that roasted capretto (kid) is on the menu, I know what I am having for a main course. Crisp on the outside and moist on the inside, the capretto is simply mouthwatering. This is a fabulous rendition of a Piedmontese classic. In a word: fabulous! Taittinger’s 2002 Comtes de Champagne is a great way to kick off this festive birthday dinner, although to be honest, I have had better bottles. Still, the exuberance and opulence of the year is very much on display. Ceretto’s 1999 Barbaresco Bricco Asili is a revelation. A wine that continues to blossom in bottle, the 1999 is fresh, vibrant and utterly beguiling from the very first taste. All of that is even more remarkable considering 1999 was a challenging vintage with significant hail damage. Sweet and floral throughout, the 1999 Bricco Asili expresses all of the charm and seductiveness that makes Barbaresco such an irresistible wine. 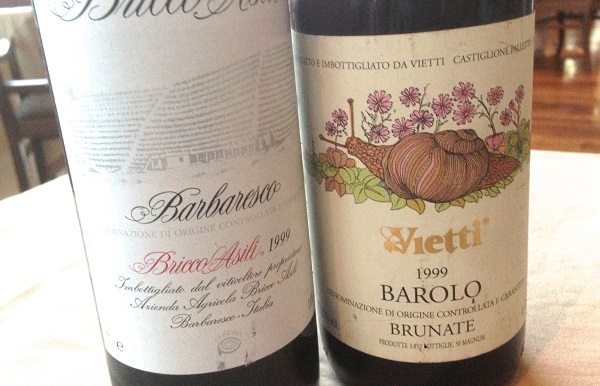 Vietti’s 1999 Barolo Brunate emerges from a period of transition in this estate’s history. Much heavier and oakier than the wines of today, the 1999 possesses considerable density, structure and power, but less in the way of finesse. Put another way, the 1999 Bricco Asili takes us on a journey of discovery, while the Vietti is a much more static wine that offers less in the way of development. At this level, those are relatively small critiques, but at the same time, these are precisely the nuances that elevate some wines into the stratosphere. 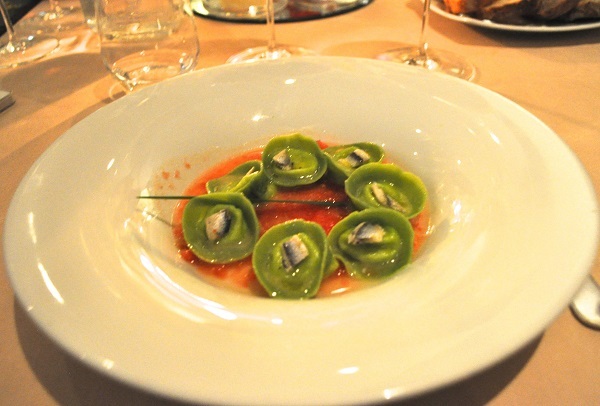 La Ciau del Tornavento remains a reference point for top-flight dining in the Langhe. In the summer months the large, sliding glass doors provide stunning views of the countryside. The light is especially magical towards the late afternoon and evening in June and July, when the days are long and leisurely. 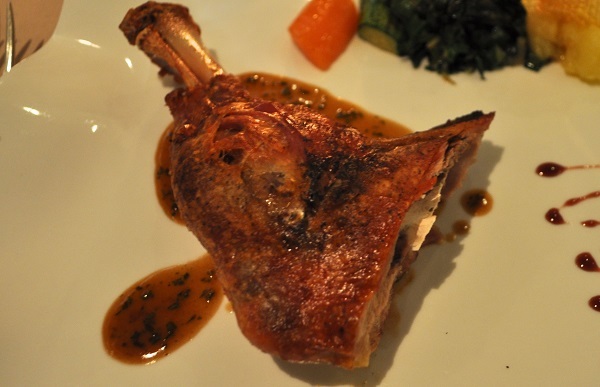 Readers making a trip to Piedmont should not miss a chance to have a meal (or two!) at La Ciau del Tornavento.